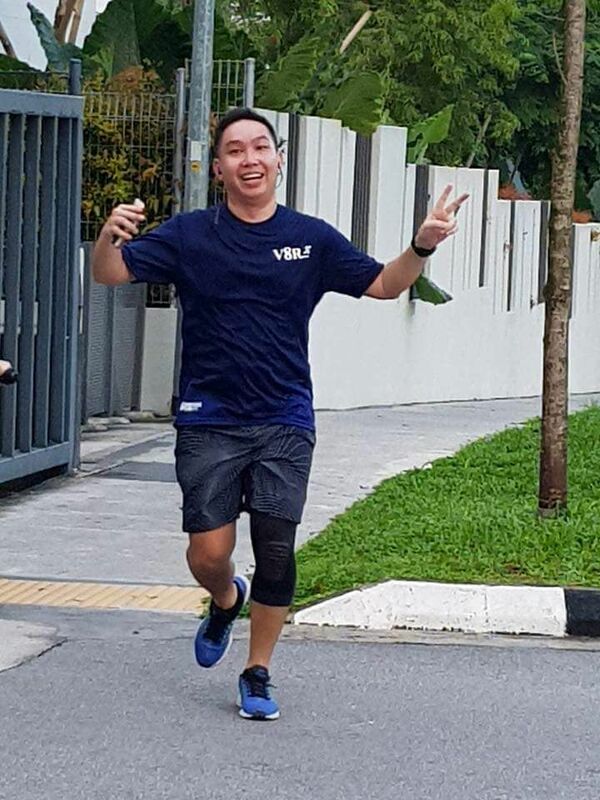 Meet Thomas of V8Runners | JustRunLah! Hi all! My name is Thomas Lee, hovering in late 30s with extra fats around my waistline. 😊 I used to run quite frequently at East Coast Park a few years ago. Running really helps me to de-stress and clear my mind. In late 2015, my toddler daughter did not like to walk and always pestered me to carry her around. I started to experience sharp pain in every step I climbed up the stairs and doctor prescribed Glucosamine and advised me to stop running and carrying my daughter for the next 12 months. I have also tried other methods to reduce the pain such as buying a new pair of running shoes, but the pain did not go away. Ever since, I gradually cut down all my exercise activities and hence grew sideways. I knew about V8Runners from the Vue8 Facebook posts by Stanley Tan. My work requires frequent travel and because of that, I am not at home with my family on weekdays. Hence, weekends are always reserved for family activities. 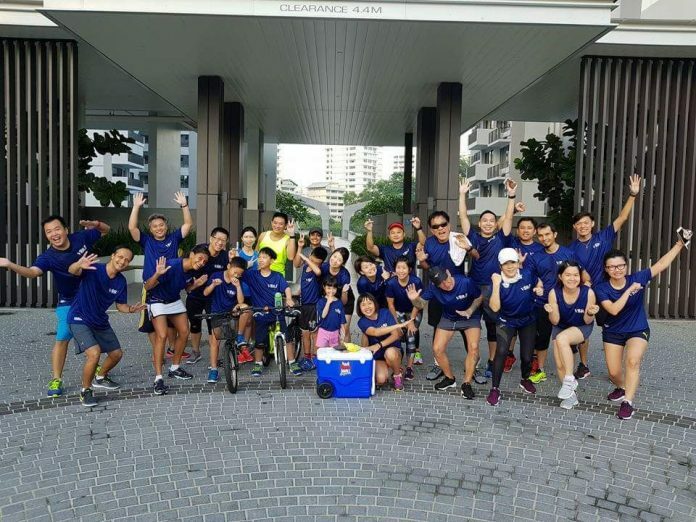 The Sunday morning 7am timing for V8Runners is great and does not affect my other family activities, therefore, I decided to join in the running sessions and at the same time, I could get to know my other neighbors in the kampung. I have joined V8Runners since the 1st run till today and will continue this weekly activity. Running with a group helps to motivate one another. After every run, although I still feel a little pain on my knee, I love the feeling that my body is refreshed. At this moment, I know that my legs are still not ready for long distance runs. However, in the near future, I hope that my knee pain will be gone and I am able to sign up for running events.